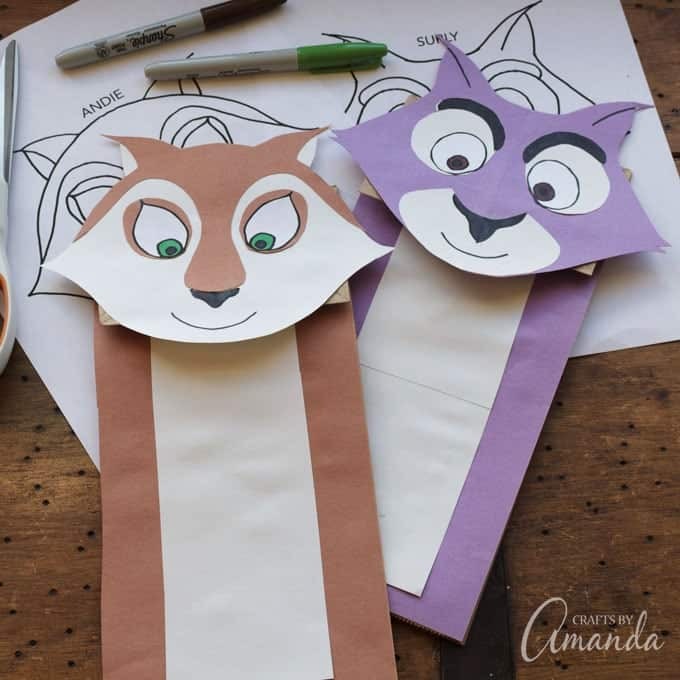 I was poking around the Internet looking for some fun ideas for kid’s puppets and found myself in a wonderland of cuteness! 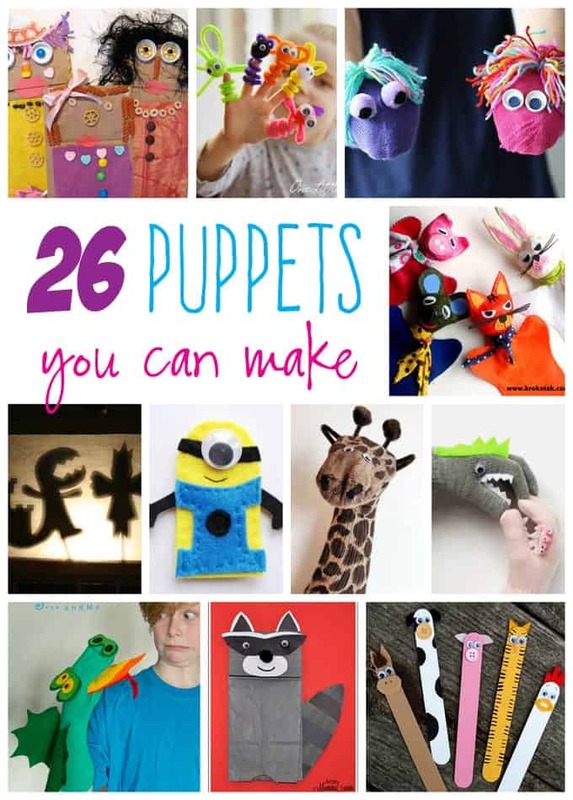 The sheer number of ideas for kid’s puppets is astounding and I couldn’t just keep them all to myself. 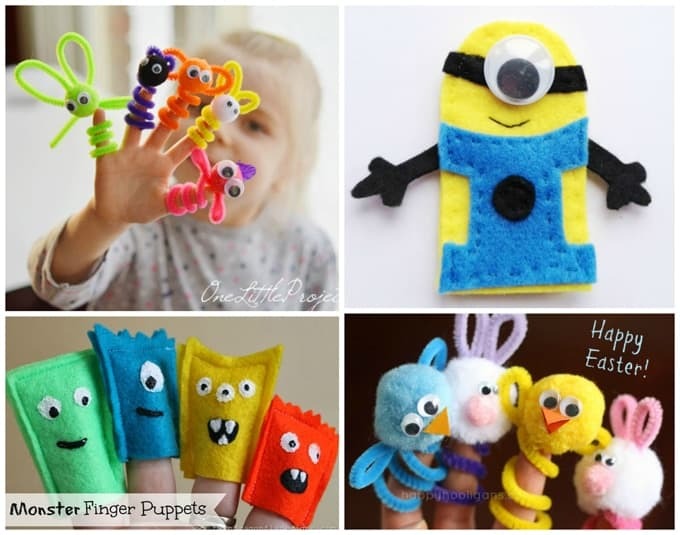 So I’ve put together a collection of some of my favorites, from finger puppets to paper bag puppets to shadow puppets, there’s a lot of ideas here to keep the kids busy! P.S. 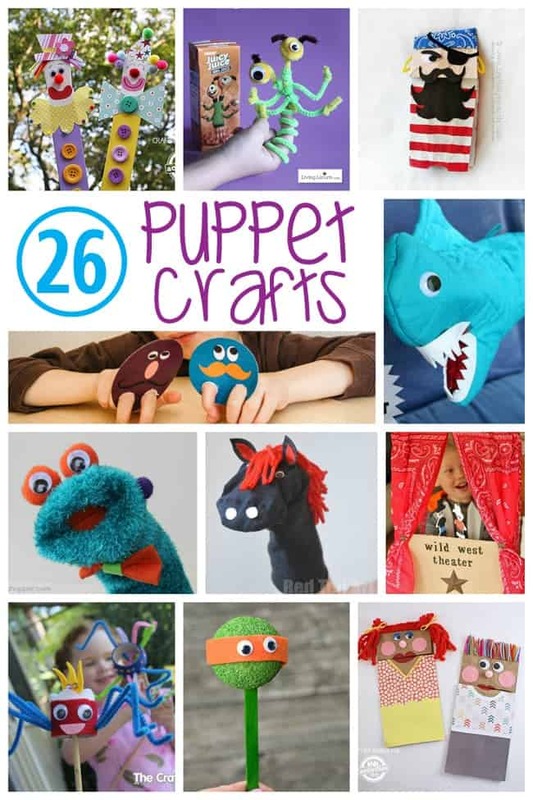 Some of the crafts collected here are puppets that I have made, whether they be on this blog or somewhere else. 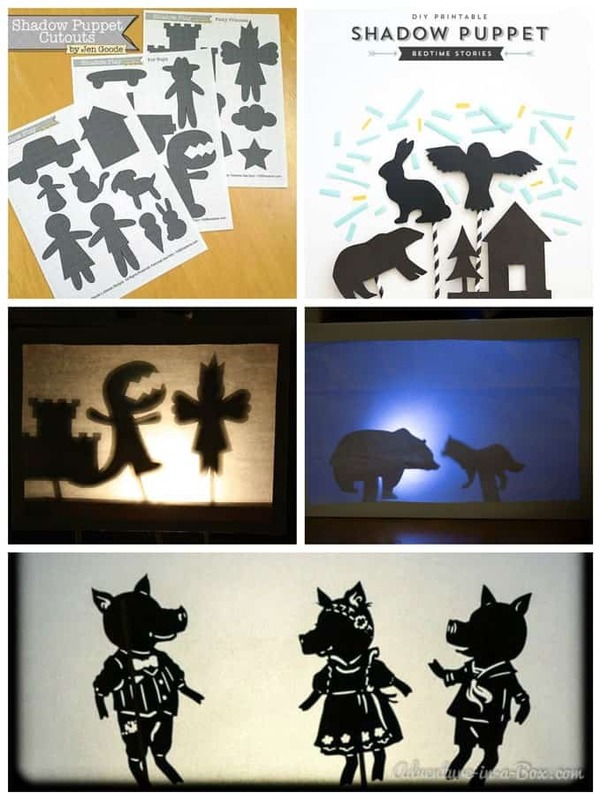 The rest are from other designers, I hope you love them all! 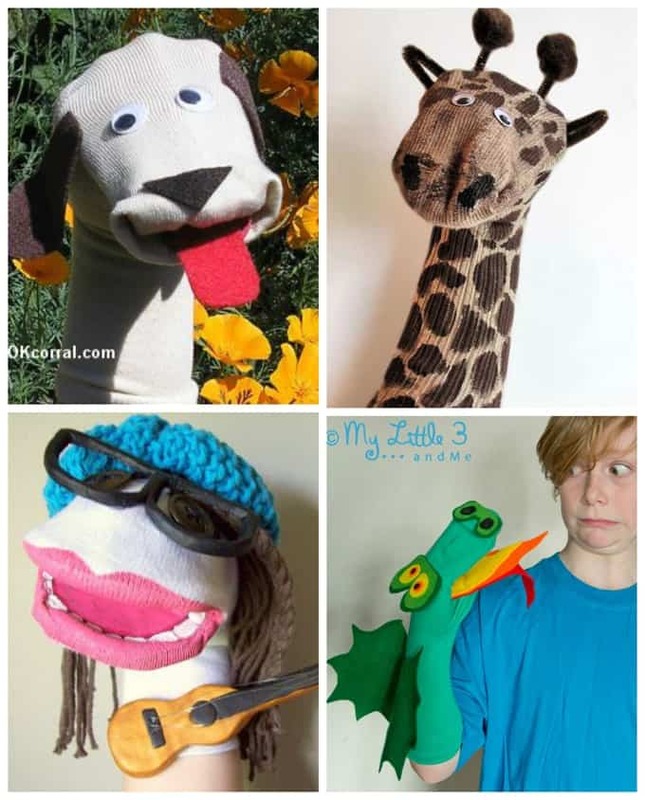 Giraffe Sock Puppet – Craft Jr. 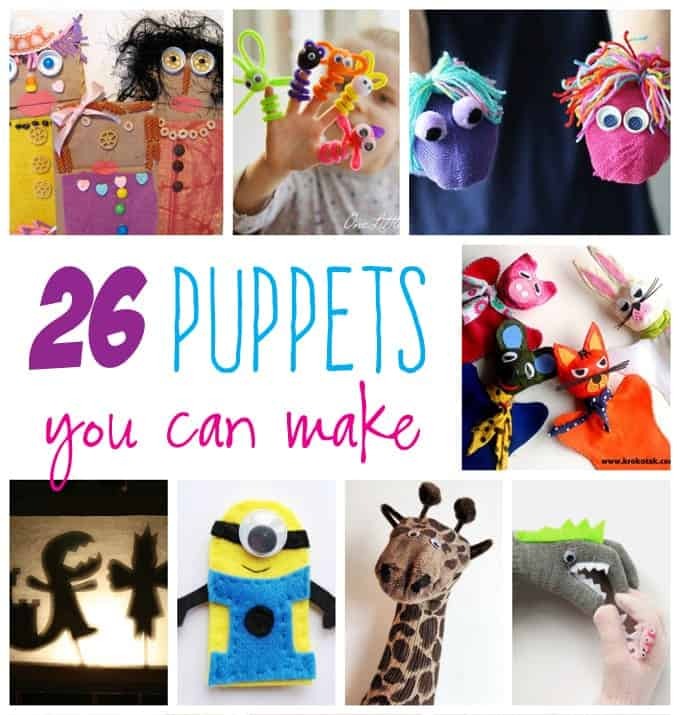 I hope this collection of kid’s puppets has inspired you to make something! 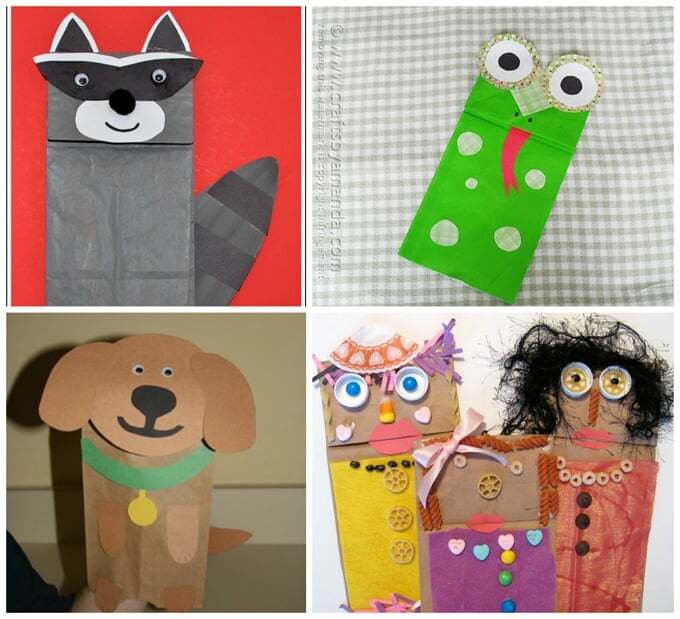 Remember, there are LOTS of toilet paper roll crafts that can be used as puppets too. 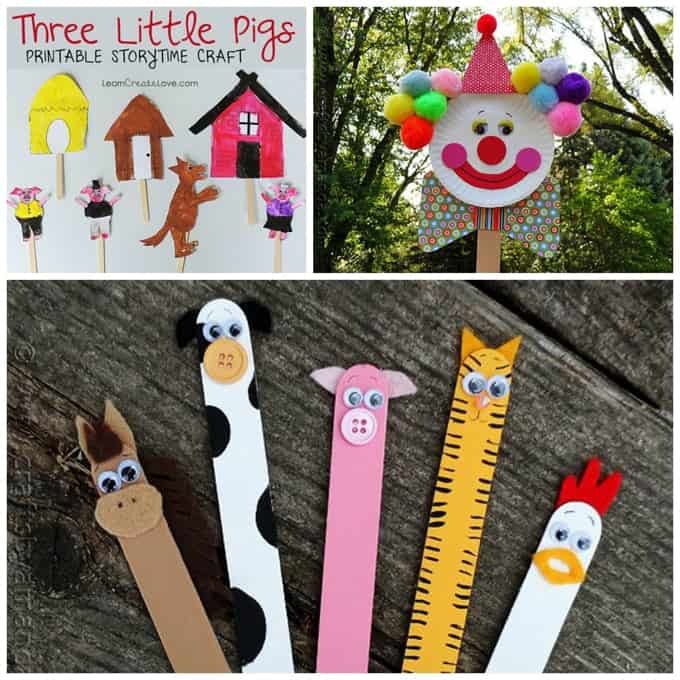 You can find all of my cardboard tube crafts here. 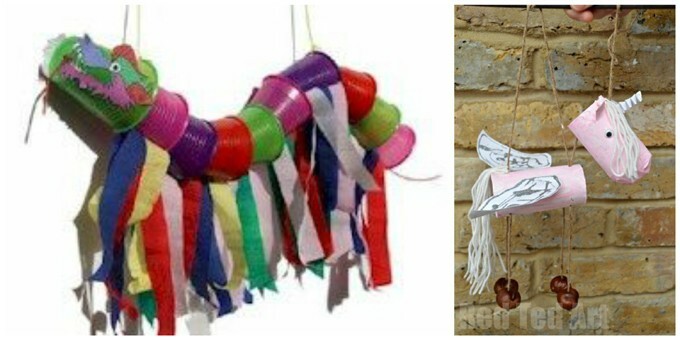 « The Photography Course I’ve Been Waiting For! 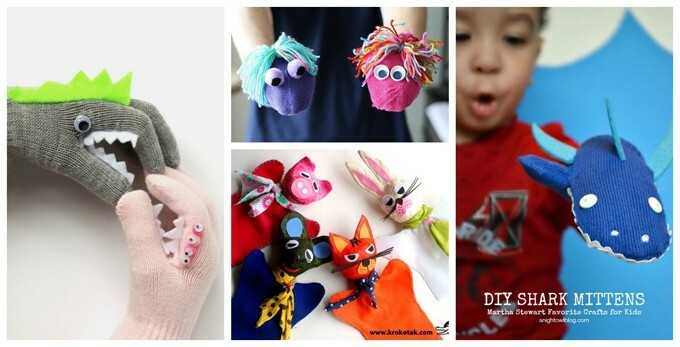 Thank you for sharing the love Kate!